Dr. Mack hosts “Bible Brunch” Thursdays at 10:00 am in Fellowship Hall. It begins with our Bible study at 10:00 am, followed by brunch at the church. Please double check the CHURCH CALENDAR listed in the top menu under EVENTS to make sure there is not a time or location change. This is going to be fun, especially considering the topic of the study – the Book of Revelation. Dr. Mack been teaching the Book of Revelation for many years and studied the Book of Revelation in seminary and in continuing education classes throughout his pastoral journey. 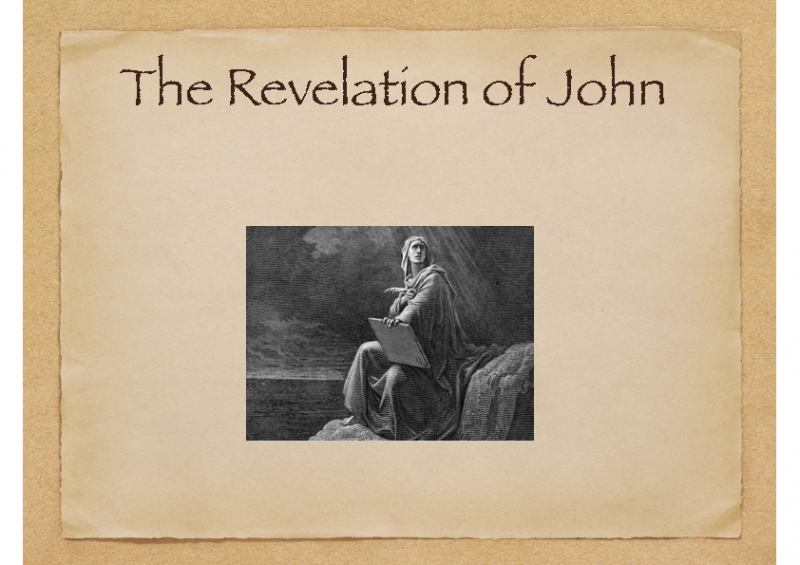 We will be looking at John’s amazing work verse-by-verse and sometimes word-by-word. This will be an extensive study that will go throughout the year, from October through May, with a break for summer, and then continuing through the next Christian year. The slides Dr. Mack uses during the class are available here, click on the document thumbnail to open a PDF copy you can view, print and save. If you miss a class take a look below for it…the same applies if you are unsure about the class and want to see what it is all about. NOTE: November 15th video is unavailable. There was no class December 27, 2018 or March 14, 2019. Click the image below for a PDF copy of the slides used in the class. Click on the word PLAYLIST below (top left side of photo) and select from the menu.